Ever wondered how to get the cool horizontal menu in Blogger ? 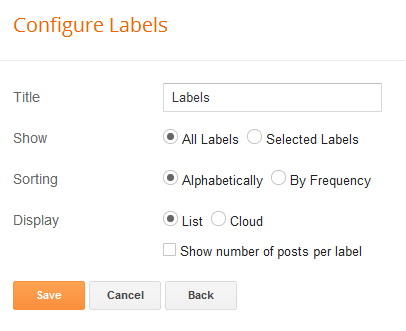 Step 1: Add labels to your to your posts. If you do not know how it is done, you can read my article on adding labels to post. STEP 5: Next step is to configure your Labels gadget. Do as shown in figure and click on SAVE. Now you can view the blog to see your menu.